Greetings from the East, Change and Challenge! Masons enjoy the comfortable familiarity of our ritual; unchanging and always there for us; comfort knowing that almost the same words were spoken to us when we joined as where spoken to Harry Truman and George Washington. Our ritual is unchanged but our world is not. Comfort can co-exist with change. A few years ago I attended a Scottish Rite training session in San Francisco shortly after The DaVinci Code and National Treasure were released. In one of the break out sessions the discussion was about Masonry being in the public spotlight. Some reported their lodges did not know what to do and assumed the 1950's "duck and cover" strategy and hoped the attention would pass. Others grabbed the opportunity and ran with it. They held open houses at Masonic Centers and placed ads in college newspapers. Those that ducked and covered survived. Others who saw change as an opportunity took the challenge and prospered. Many areas saw over a hundred new applications in a short time. 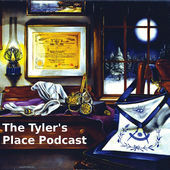 In the thirty some years I have been in Scottish Rite I have heard stories of how things were done in the old days. Just like my days in DeMolay, I remember how we did things in the 1960s when there were over 128 active chapters in Northern California. While many of the old things still work, others won't. 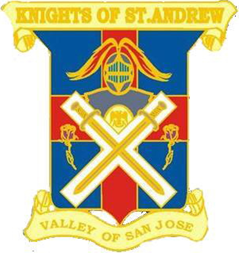 The San Jose Scottish Rite Bodies are continuing to try new programs. Education is one of them. The upcoming Master Craftsman sessions can help one complete the Master Craftsman program. Our nights of instruction allow papers of Scottish Rite interest to be presented. While this is new to the San Jose Bodies, it is not new to Masonry. September 22nd will be a presentation of one of those papers by The Ill. Robert Winters, 33°. Unlike the past Nights of Instruction, this one will be open to all Masons, not just Scottish Rite Masons so plan to attend and bring a guest. Oh, reservations please.